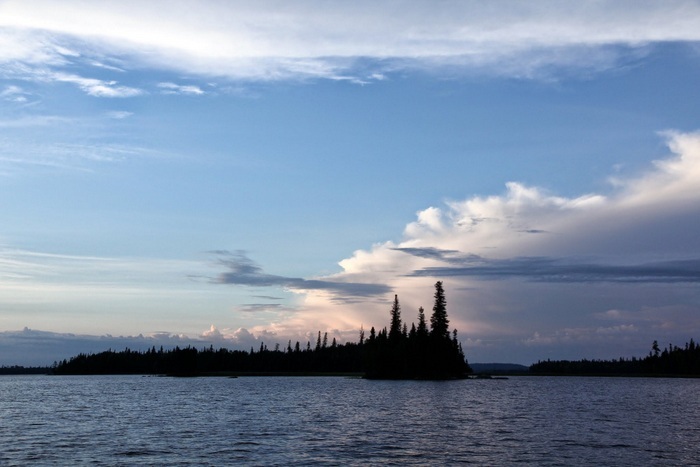 Errington’s Wilderness Island in Wabatongushi Lake, Ontario is like no place I’ve ever been to before. Just getting there is an adventure. You can only access the resort by plane or boat. We opted for the boat. We caught the local Algoma passenger train that you wave down to board. 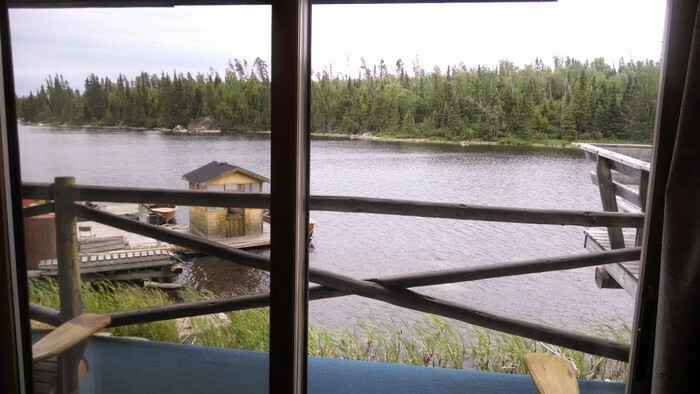 (We had been coming from the longer Agawa Canyon Train) The journey is 7 hours from Sault Ste Marie. When we got off the train, I wasn’t sure what to expect. I knew that a boat would be waiting for us, but that’s pretty much all I knew. When I got off the train, I was relieved to see that a number of other families and couples got off with us. A small fleet wooden fishing boats were waiting at the dock, along with a pontoon boat. Friendly Errington’s staff greeted us and jumped to action loading our bags and cases into the boats. The more adventurous visitors (read: not me) hopped into their boats and boated to the island. I was more than happy to board the pontoon boat. It took us about 10 minutes to reach the island. As we pulled into Errington’s my fears were quieted. Although the resort is located on an island without (gasp) cell reception, it was anything but rustic. Actually, it was pretty damn luxurious. The outside of our lodging. Talk about roughing it in velvet! We stayed in suites that were kitted out with a living room, coffee maker, bathroom and bedroom. In short, it was perfect. After we had settled in, it was time for dinner. 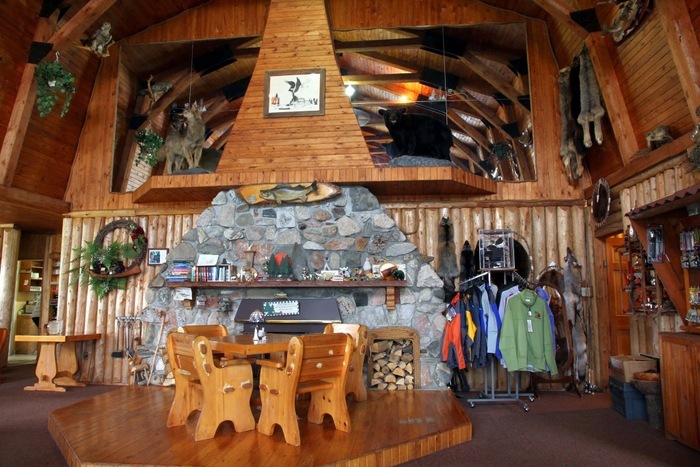 All meals are served in the main lodge. 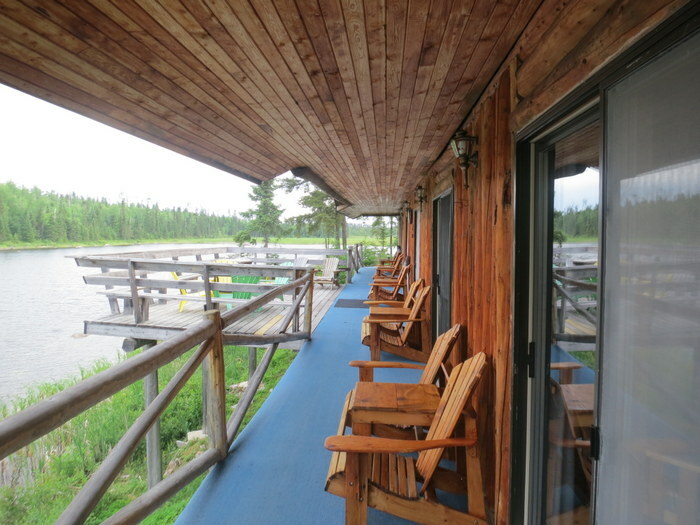 The main lodge was quite large and had a gift shop, dining area and recreation room. Dinner that evening was homemade bannock, steak cooked to order, baked potato and string beans. The steak was juicy and well seasoned. 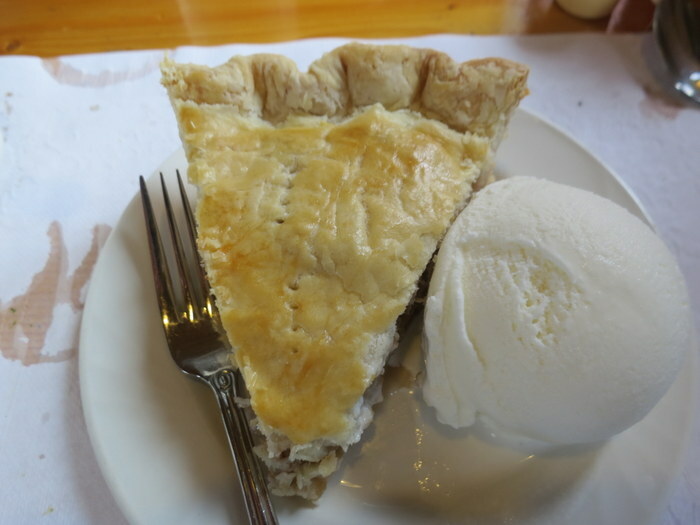 For dessert there was homemade pie with a fantastic crust. After dinner guests were able to go on a 2 hour Wildlife Pontoon Boat Tours ($15 per person). 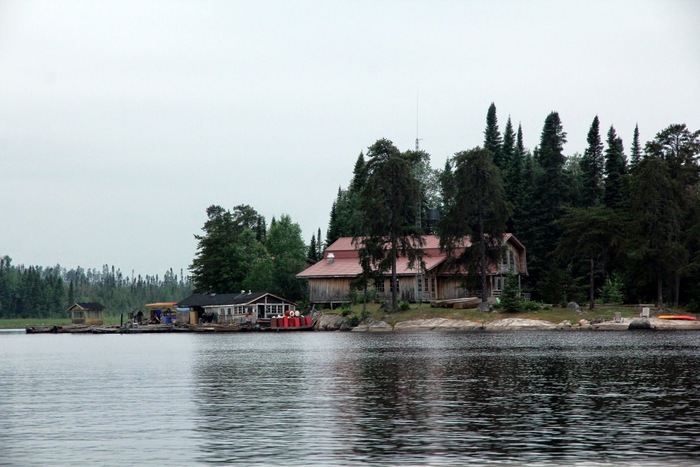 Errington’s is located in the Chapleau Wildlife Preserve: a 7000 square kilometre wildlife preserve. 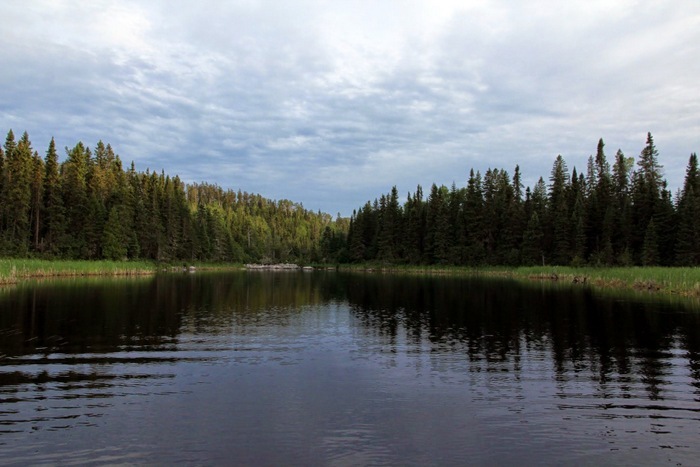 The preserve is home to Loon, Bald Eagle, Black Bear, Moose, Beaver, Great Blue Heron, Osprey, King Fisher and more! 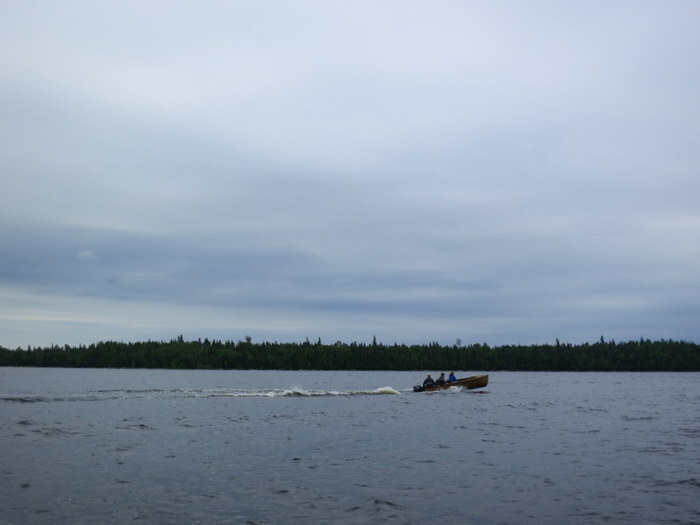 We spotted some loons and other birds, but sadly we didn’t see any moose! Our guide tried really hard to coax them out and even did an amazing moose call. The moose simply weren’t having it. Up until that day, moose had been spotted almost daily since opening. It was nice to be out on the lake. We saw a spectacular sunset! The next morning, it was time to go bear hunting! …with our cameras. 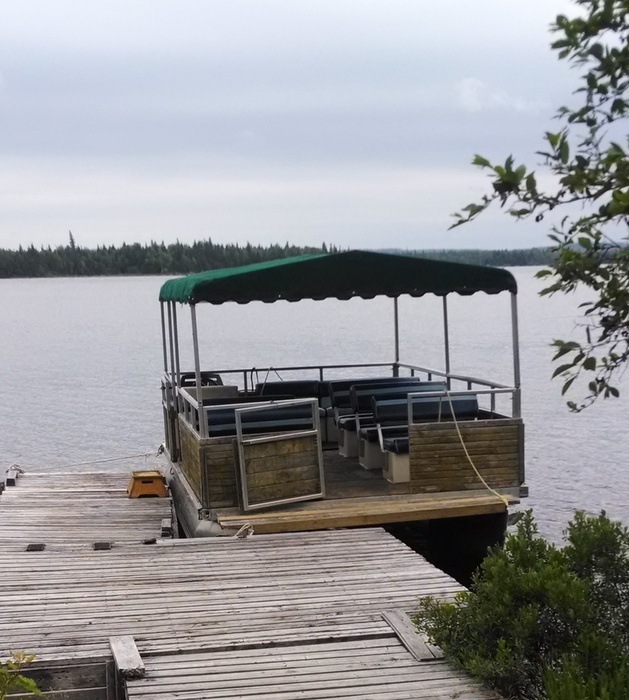 After a hearty breakfast of bacon and eggs, we took the pontoon boat to Bear Island. 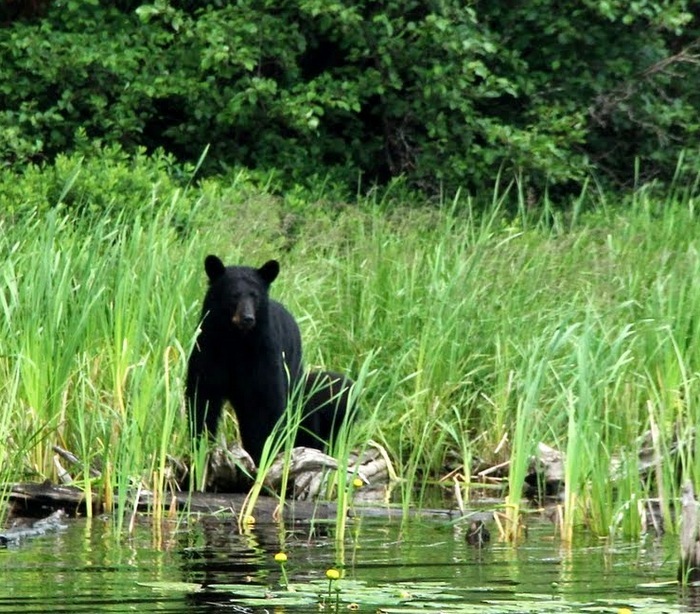 The Erringtons have developed a relationship with the black bears that live around there. To deter the bears from wandering to the resort and eating their garbage, garbarge is taken off the island and left for the bears. Our boat stayed cautiously near the shore and waited. …her baby cub! The baby cub was adorable! 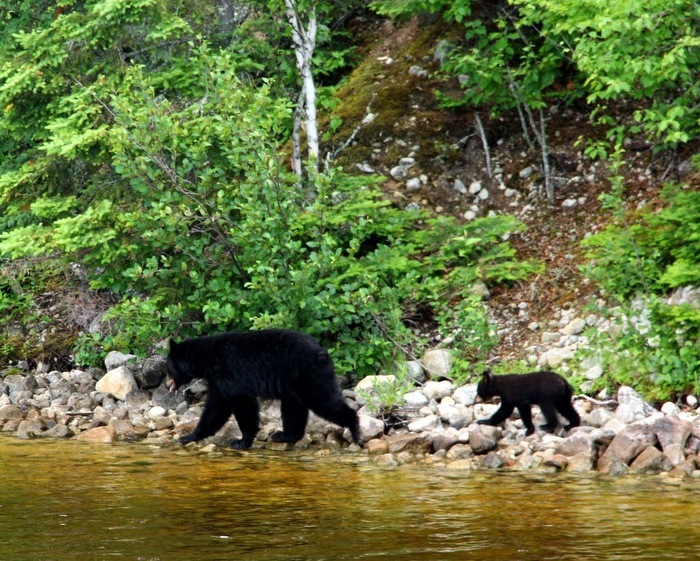 He kept following his mama along the shore and through the bushes So cute….but a little scary. Don’t forget that bears are wild animals, so never approach one on your own or view them without a guide. 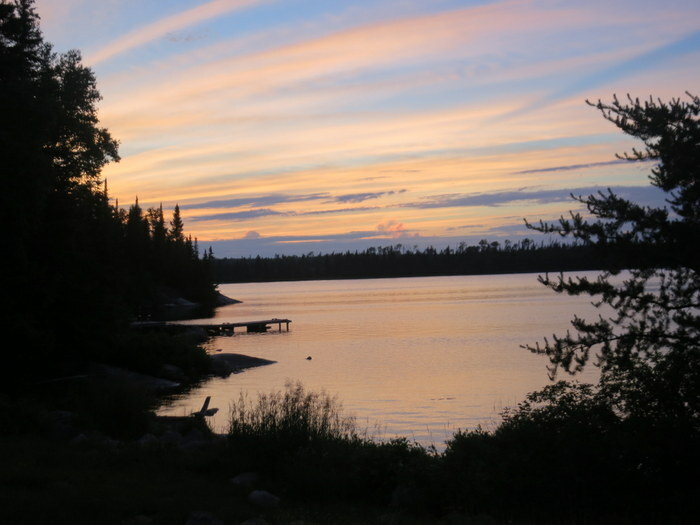 It’s easy to see why families and couples return to Errington’s year after year. There’s something for everyone. Fishing, photography, even the northern lights can be seen here. Errington specializes in fishing. I witnessed other visitors reeling in large catches! 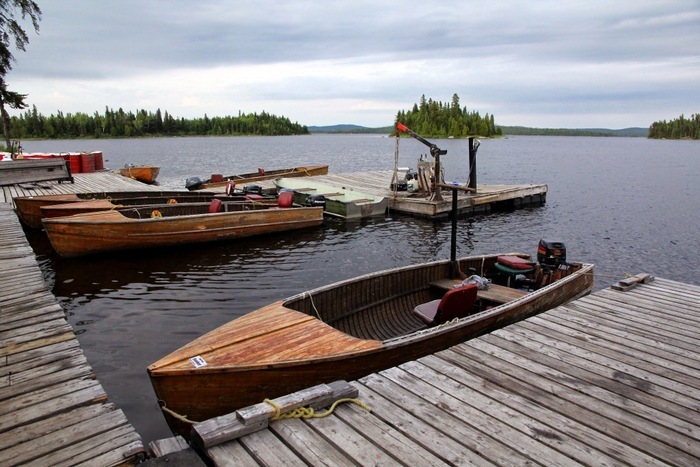 The resort provides you with your own fishing boat for your stay. I took mine out early in the morning! There are a variety of meal plans and accommodation for your visit. 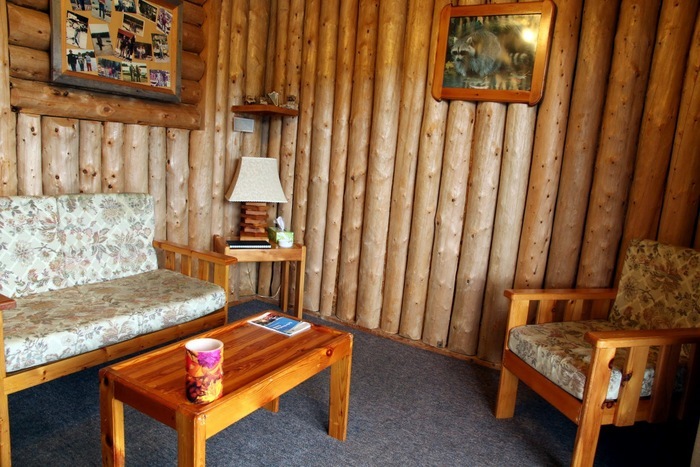 You can choose to stay in a cabin and bring your own meals. 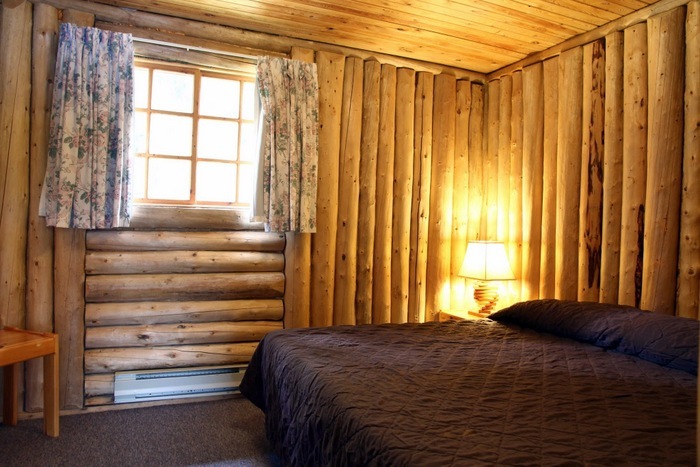 You can stay in a cabin and have all meals provided or you can stay in the main lodge. Luxury does come at a cost though. Click here to see pricing. A popular meal option that I didn’t get to experience was the shore lunch. 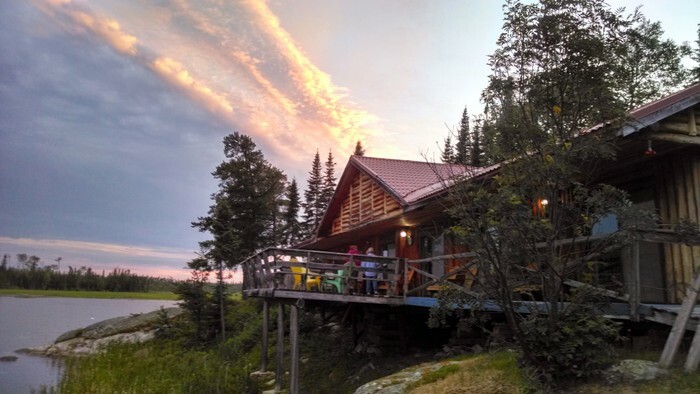 Guests can enjoy fresh Walleyes, home made baked beans, seasoned wedge potatoes and bannock all cooked over a campfire. I would visit Erringon’s again in a heartbeat. 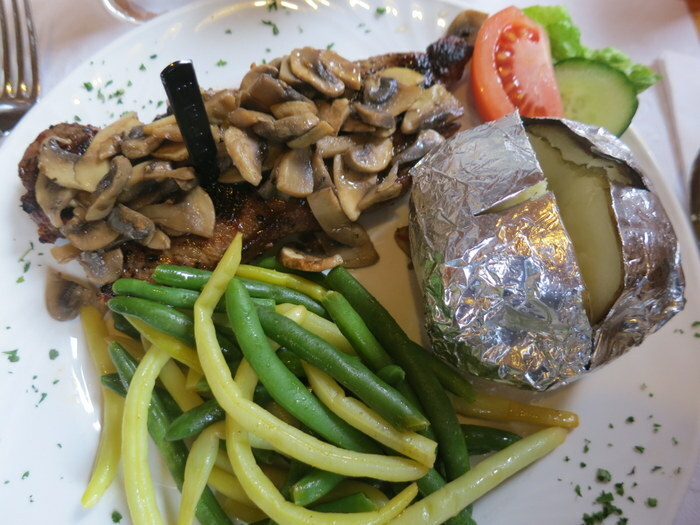 The staff was friendly, rooms comfortable and the food delicious. 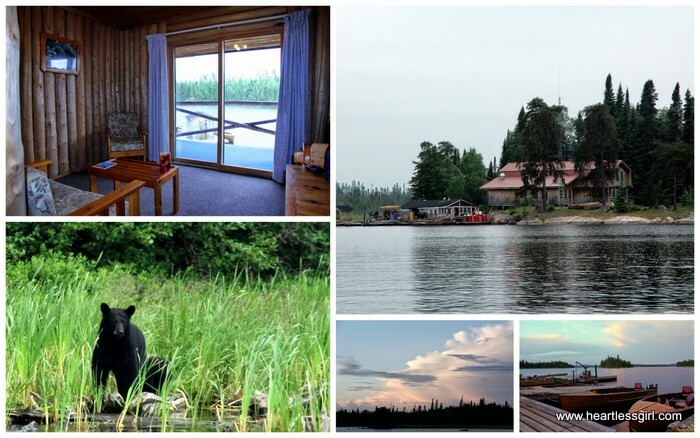 Pair that with pristine wilderness and a beautiful lake, and you’ll never want to leave! 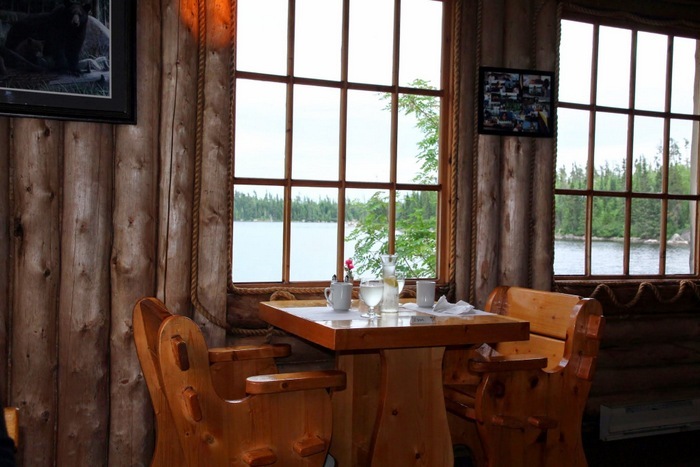 « The Porch: Amazing view and delicious food to boot!